Vitamins and minerals are, as we have discussed before, crucial for the development of your child’s bones and joints, especially when it comes to their teeth. Kids are known to be picky eaters, and while there are numerous foods that can supply the important nutrients they need to grow big and strong and have exceptionally healthy teeth, your kid’s dental care can run into certain roadblocks. Whether it is a food allergy or you just have yourself a picky eater, young children could be missing out on vital foods and vitamins if they refuse to finish their broccoli. With that in mind, multivitamins are an option that many parents have considered at one point or another to help keep their children on the correct developmental path. Today, the Alligator Dental team wants to cover some of the best uses for children’s multivitamins and how they can contribute to quality oral hygiene and dental health for your child. If your child is a picky eater, you might be hard pressed to get the proper vitamins into their diet. For example, if your child refuses to eat orange foods like orange peppers, sweet potatoes, or carrots, they may be struggling to get enough Vitamin A in their diets. 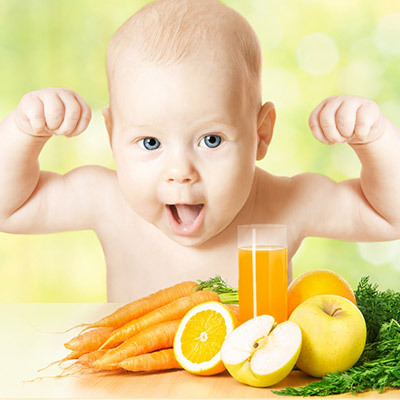 Without Vitamin A, your youngster might find themselves with dry mouths or getting food caught in between their chompers more often than they’d like due to a lack of saliva production. This is important when it comes to breaking down food and ensuring the health of your mouth and teeth. When you find yourself facing a situation like this, a children’s multivitamin can be a good solution. It will ensure that your child consumes the vitamins he or she might be missing and take some worry off of your already full parenting plate. If you have a youngster who needs to adhere to certain dietary restrictions, they will face a disadvantage when it comes to healthy and regular vitamin and mineral consumption. One of the most common is calcium deficiency, which can result from lactose intolerance or because of low-dairy diets. Dairy is the easiest source for plentiful calcium, and a lack of foods like milk, yogurt, and cheese can pose some problems. If this is the case, a calcium-rich multivitamin can be a good replacement. Without calcium, a child’s dental health can be at serious risk. Not only do bones and teeth grow strong with calcium, but without it a child may have an imbalance of calcium and phosphorus or some other nutrients that can lead to improper growth. Rather than risking teeth growing in improperly or causing instability in their adult teeth, multivitamins with calcium can ensure your children’s teeth and dental care are taken care of down the line. 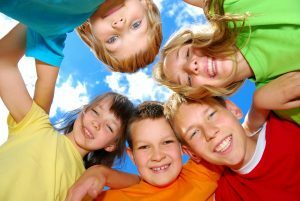 Your children’s dental health is extremely important to us. If you are looking for the best pediatric dental group in the San Marcos area, you’ve come to the right place. From emergency dental work to your kid’s first dental visit, we are ready to help you with whatever you need. Make an appointment today and see why children will enjoy coming to the dentist at Alligator Dental!